The most famous sculpture of a sphinx is the Great Sphinx of Giza outside of Cairo, Egypt. In the Egyptian tradition the benevolent mythological creature has the head of a man and the body of a lion. The Greek sphinx, however, is usually depicted as a woman and sometimes with wings. In addition to the gender difference, the Greek sphinx is also malevolent. In the example in the photograph above, a couchant sphinx guards an Egyptian-style mausoleum at the Ararat Cemetery at Fresno, California. 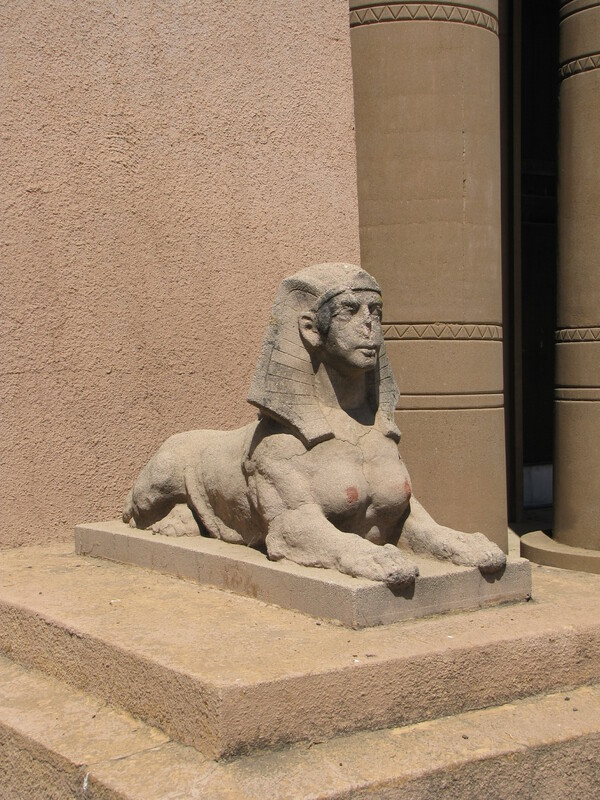 It is clear that the sphinx in the photograph is female, albeit a homely one, because a deviant vandal has highlighted the areola with a smudge of pink paint on each of the breasts on the statue. Even though this sphinx is partially modeled in the Greek tradition, it has the headress of a pharaoh. 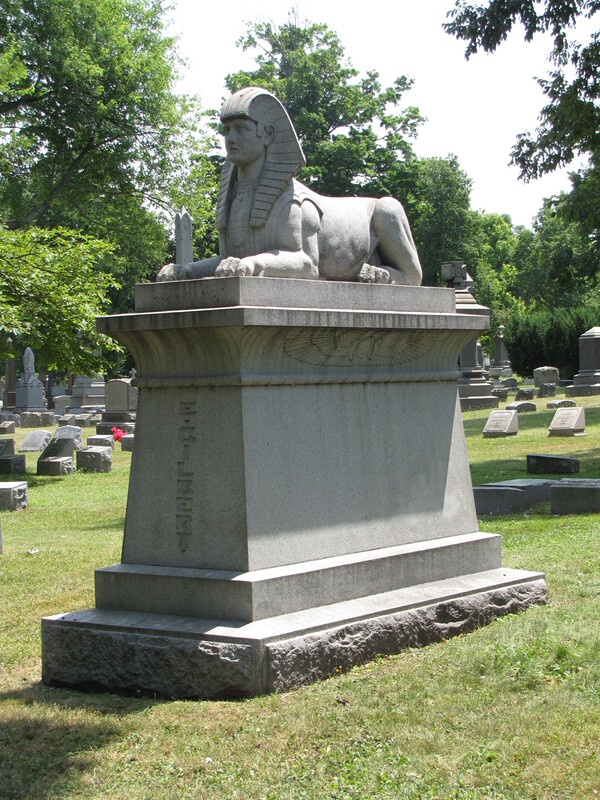 The example below from the Forest Lawn Cemetery at Buffalo, New York, is a clear example of the Egyptian-style sphinx with the head of a man and the body of a lion.